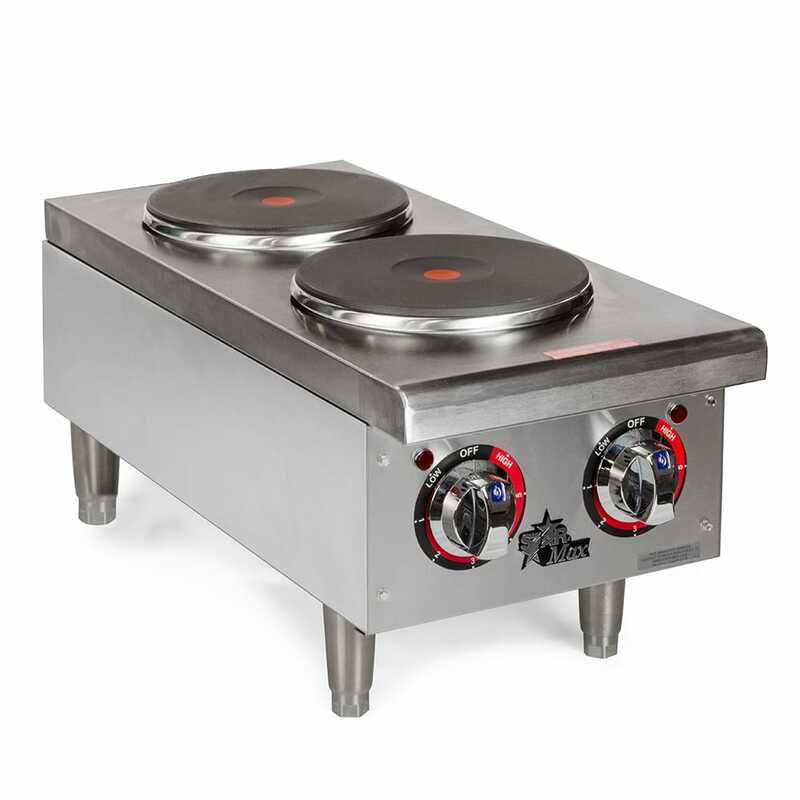 The Star 502FF Star-Max® hotplate uses two sealed, cast iron french tops to quickly and evenly heat product. An independent temperature control for each burner enables the operator to prepare different products at the same time. As the unit heats up, the exterior stays cool because of its solid top, enclosed bottom, and double-wall construction, while also insulating the unit. 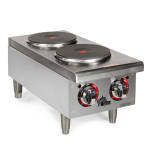 This Star 502FF Star-Max hotplate is elevated off the counter with 4-inch legs. 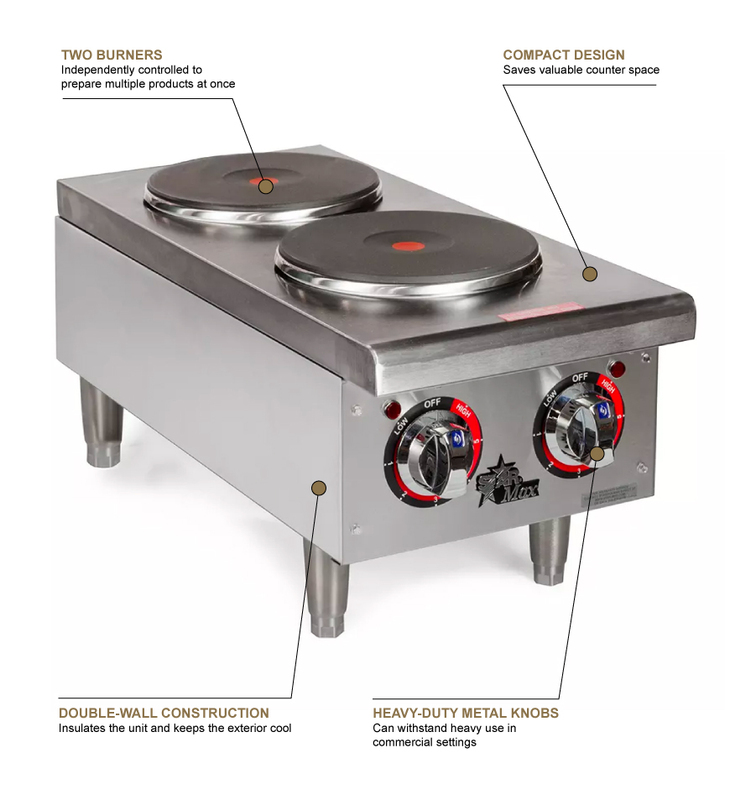 Our countertop cooking equipment buyers' guide provides additional information on hotplates and other countertop cooking equipment.